As global executives continue to seek growth opportunities in challenging markets, exposure to the reputational, legal, operational and financial impacts of corruption will continue to rise. Recognising this situation, business leaders are searching for risk mitigation strategies that also contribute to their corporate sustainability efforts. Highly publicised scandals and expectations of increased government enforcement have established corruption risk as an inescapable reality in the minds of executives. While there is firm commitment to tackling corruption, companies need to do more to protect themselves. The gap between corruption risks and companies’ anti-corruption programmes, as well as guidance to remedy it, is explored in PwC’s Confronting corruption* report. PwC’s Confronting Corruption* report examines what companies are currently doing to manage the risk of corruption and the steps they can consider to better protect themselves in the future. The increased focus on the private sector’s role in fighting corruption led PwC to commission The Economist Intelligence Unit to conduct a global survey and interviews with senior executives and anti-corruption experts. 390 senior executives participated in the survey. Survey findings were supplemented with in-depth interviews with 36 senior executives and experts in anti-corruption efforts from 14 countries. Overall, the survey indicates that business is more keenly aware than ever of the dangers of corruption. Yet, companies still need to expand the scope and rigor of their efforts to manage corruption risks with well-designed controls that are clearly communicated and enforced. Sixty-five percent of respondents believe a level playing field is crucial to their company’s future business activities. Having an anti-corruption programme in place and publicizing it is seen as valuable or very valuable to a company’s brand by 86% of respondents. Fifty-five percent say the most severe impact would be to the corporate reputation. Greater than the combined total of those who say legal, financial and regulatory impacts would be the most severe. 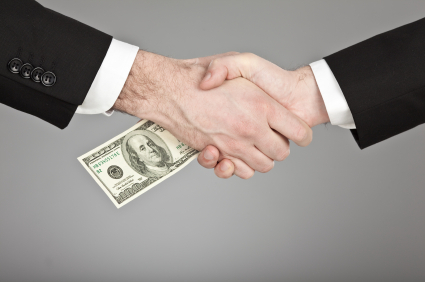 Forty-two percent believe their competitors pay bribes. Despite being aware of corruption, many companies underlying policies and controls currently do little to identify and mitigate risk due to poor design or implementation. While 80% say they have some form of an anti-corruption programme in place, only 22% are confident of their effectiveness.